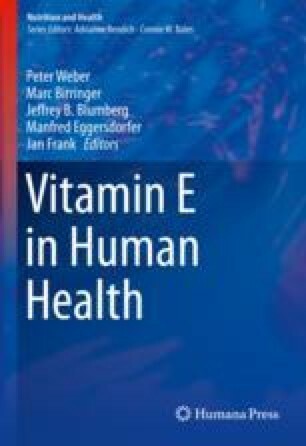 The purpose of the present paper is to analyze the association of vitamin E supplementation and mortality by means of augmented data sources as well as additional methodological approaches. We performed a meta-analysis with 68 studies. The total numbers of study participants were 124,836 in the vitamin E group and 124,925 in the control group. Dosages of vitamin E supplementation ranged from 16.5 to 5000 IU/d. Additionally, the following covariables were part of the analysis: length of follow-up, mean age, and percent of males. We used different approaches of meta-analysis including fixed and random effect models, categorical dose-response models, models adjusted by covariates, and continuous dose-response models with linear splines. The above results show very clearly that with all different methods there is no effect of different dosages and no effect of possible covariables (length of study, mean age, percent of males). Thus on the basis of the published trials, there is no increase in all-cause mortality caused by vitamin E supplementation, and vitamin E supplementation is safe. The R Foundation for Statistical Computing Platform The statistical package R version 3.4.1. https://www.r-project.org – 2017.